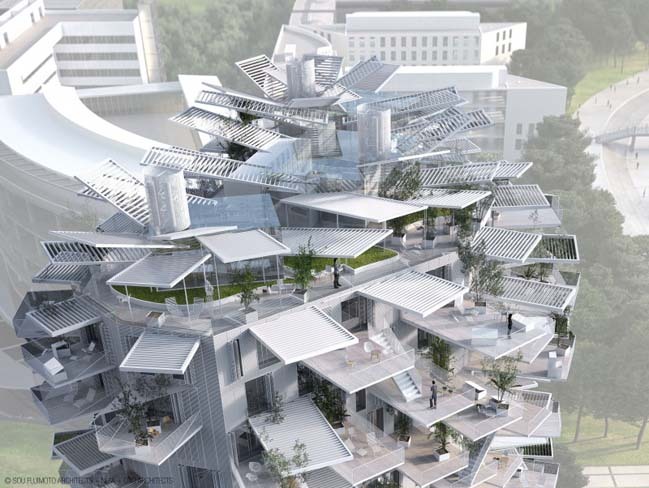 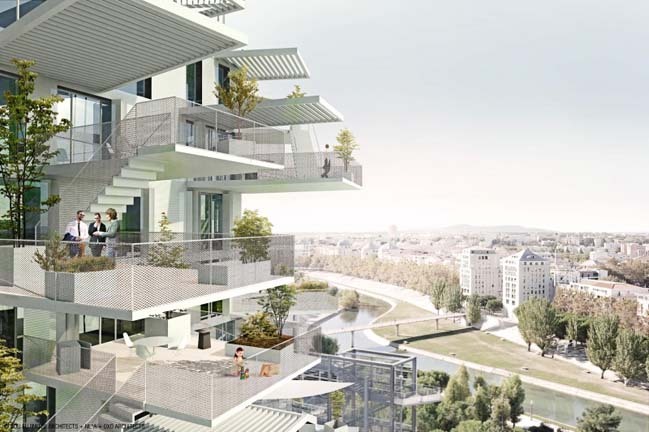 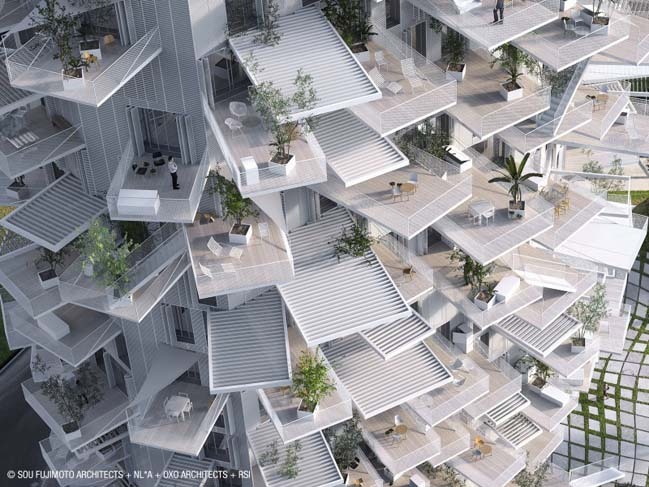 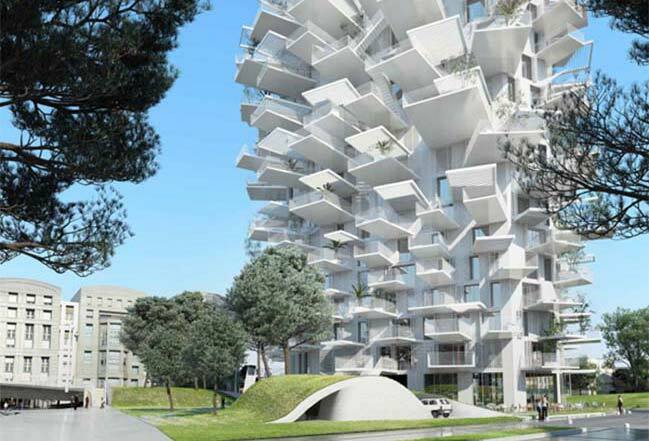 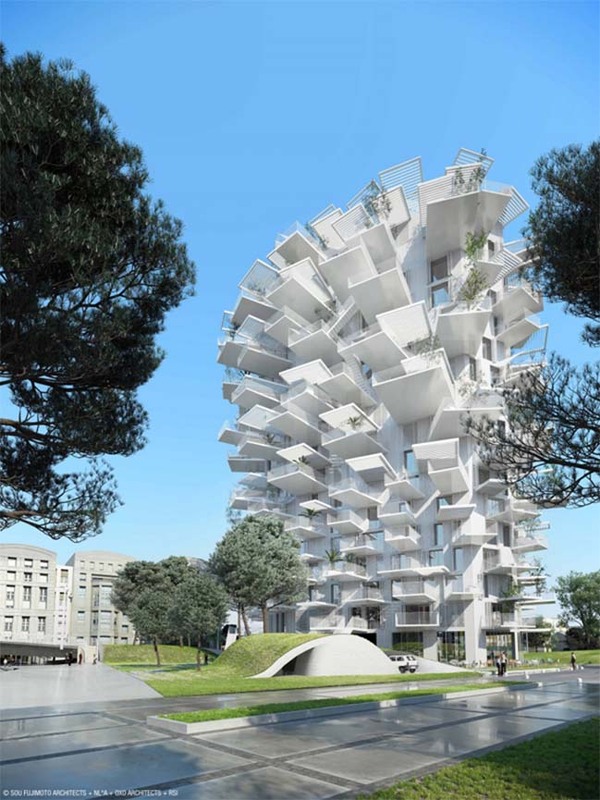 Called Arbre Blanc (or White Tree), this amazing architecture is designed for the new multiprupose tower that included housing, restaurant, art gallery, offices and a bar with a panoramic view. 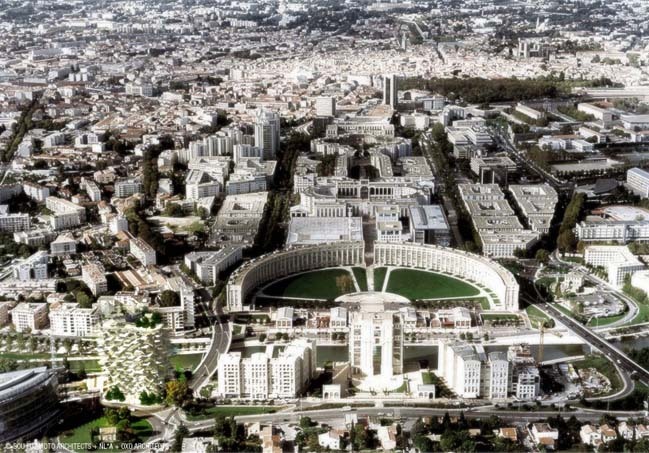 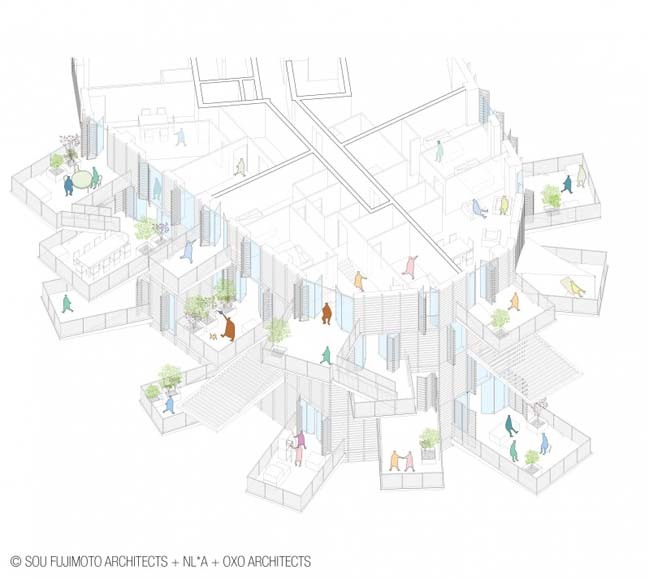 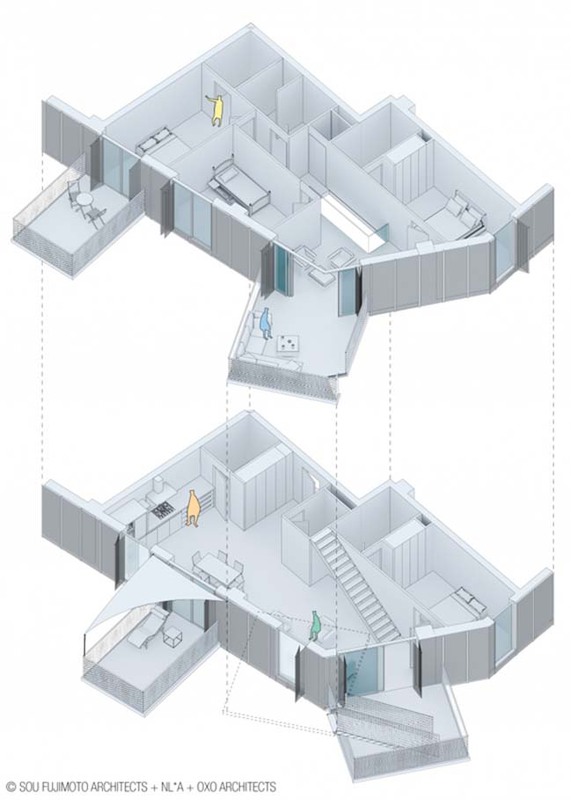 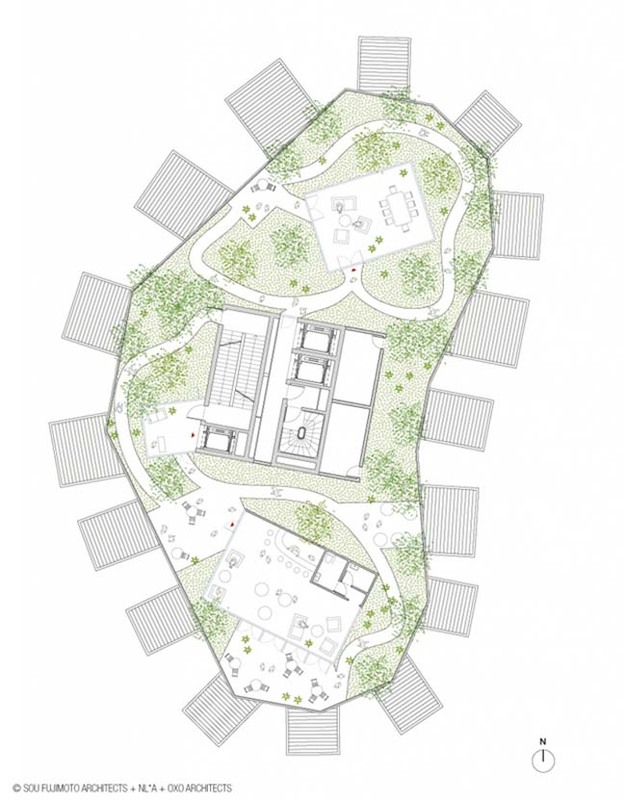 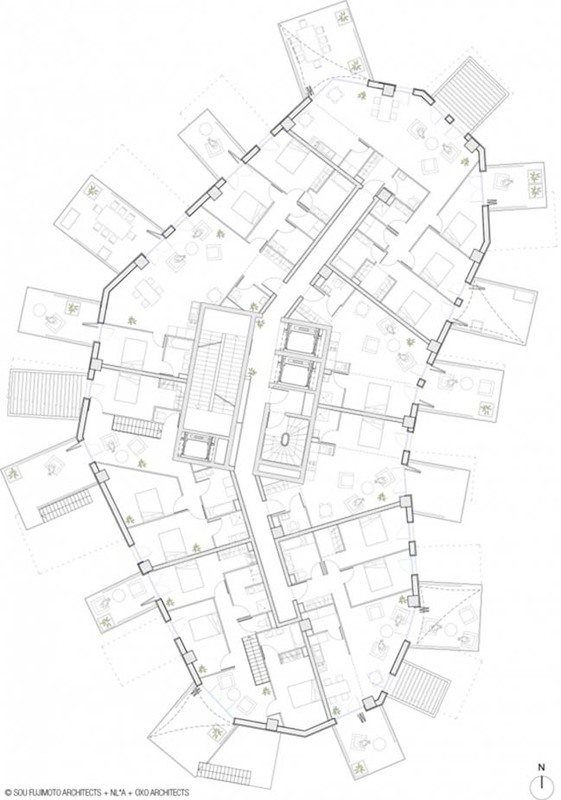 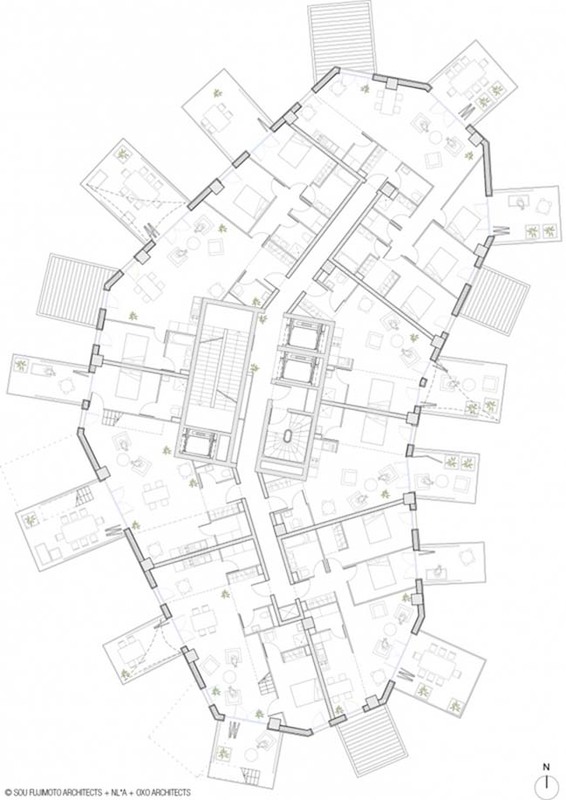 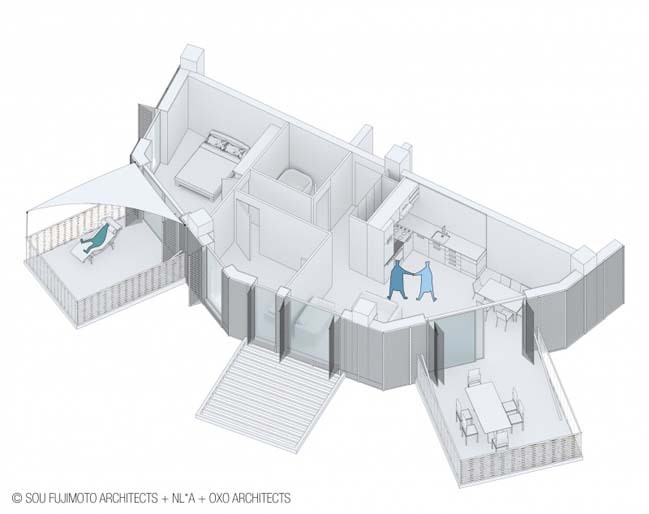 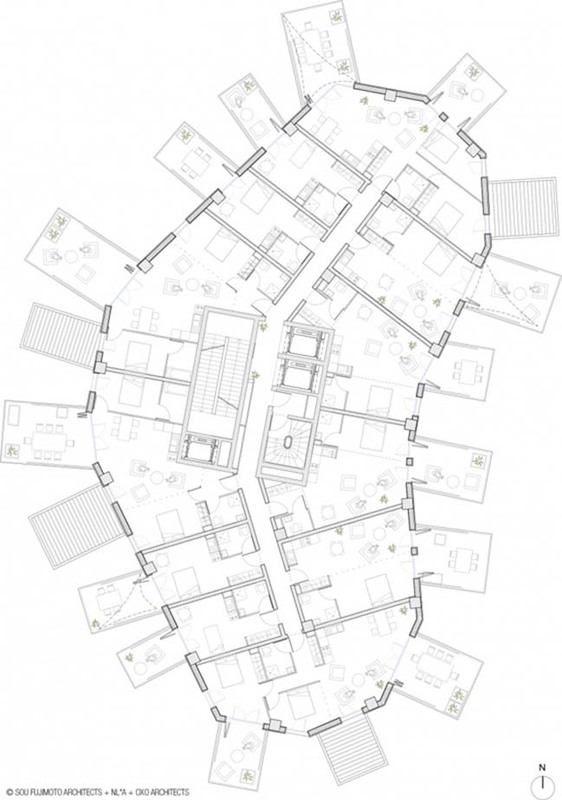 The project is also a meeting and interchange between two different culturals (Japan and Mediterranean) and two pedigree of architects: the Japanese firm Sou Fujimoto and the young French age OXO Architects and Nicolas Laisné Associés. 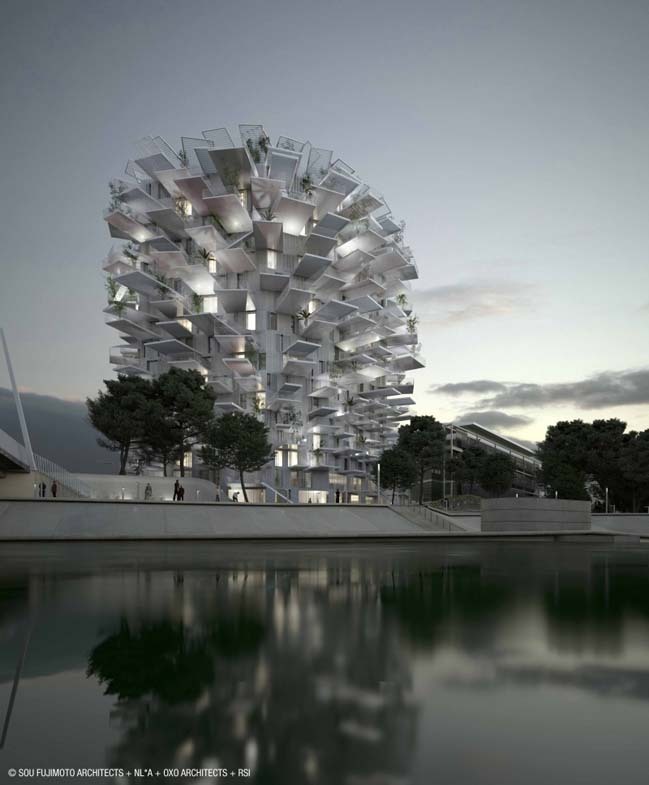 According to the architects: The architects were heavily inspired by Montpellier's tradition of outdoor living. 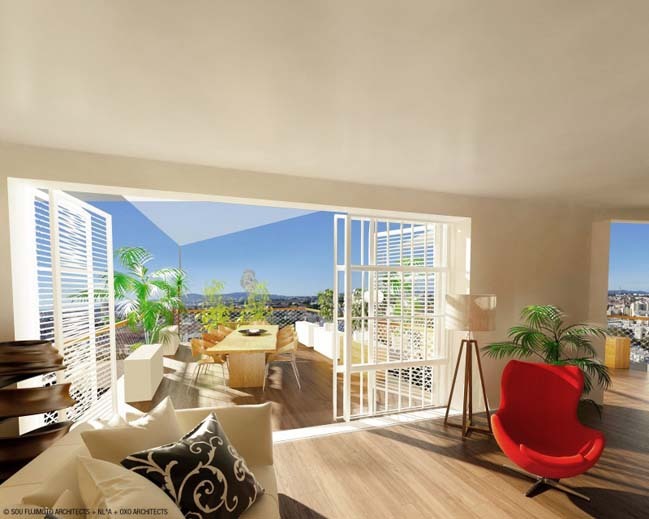 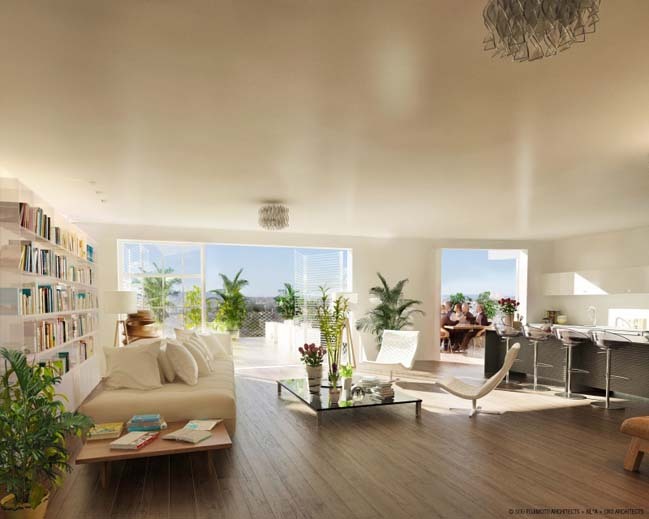 The tower is strategically located between the city centre and the newly developed districts of Port Marianne and Odysseum, midway between the "old" and the new Montpellier. 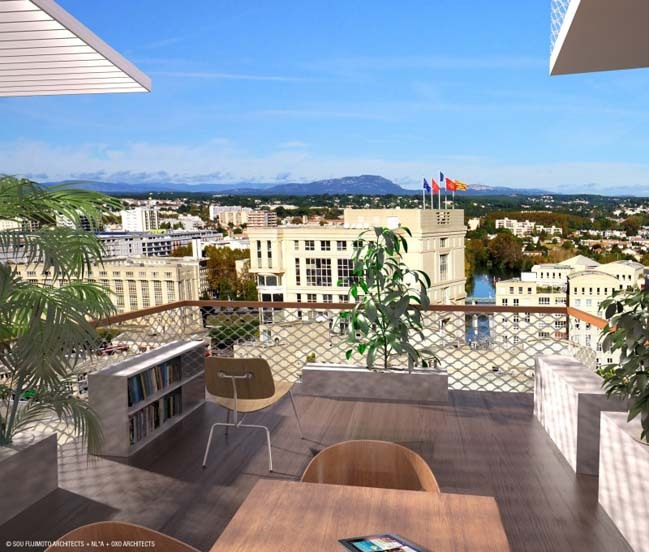 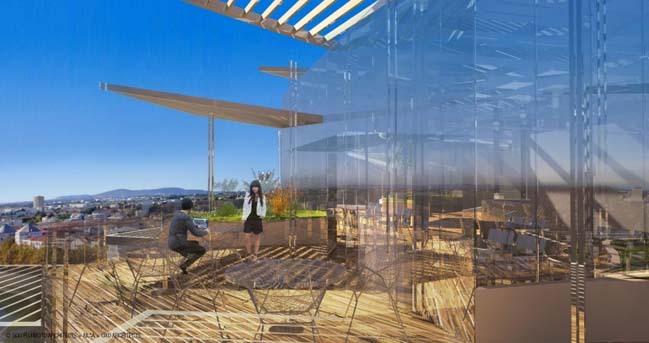 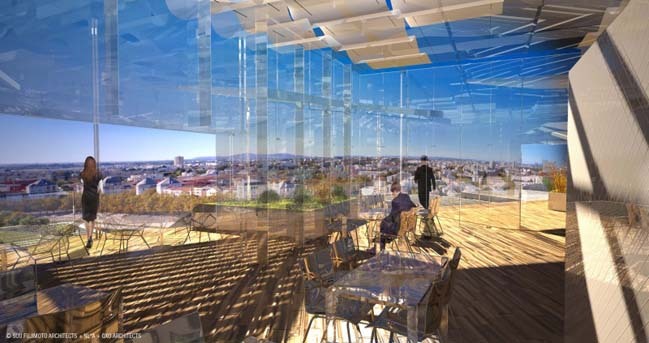 The 17-story high-rise dominates the Montpellier skyline, creating a once-in-a-lifetime opportunity to soak in the breathtaking expanse with a view of the ocean, the Pic Saint-Loup mountains, the sprawling city and the Lez River below. 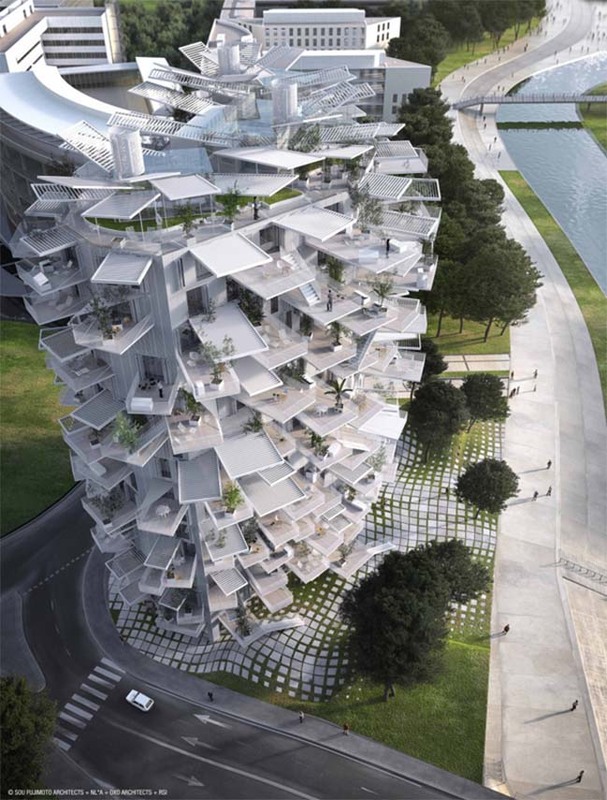 Arbre Blanc is imbibed with Mediterranean character and Japanese culture alike, with dense yet permeable peripheries where inside and outside join forces, the lines are blurred between room and balcony, uniquely indulgent exterior expanses surrender themselves as full-fledged living spaces. 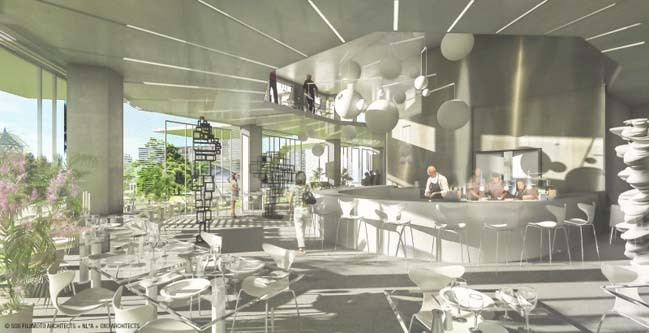 Unparalleled anywhere for its depth and well-provisioned hanging gardens that take up more than half the space allotted for residential units and offer up places to arrange plants, tables, chairs, benches, storage spaces, etc.